I tried to get up early on Saturday morning to do some birding before heading up to the mountain. It took ages to get out of the house for some reason, so my time ended up being pretty limited, but I had enough time to take a quick cruise through the black dirt. 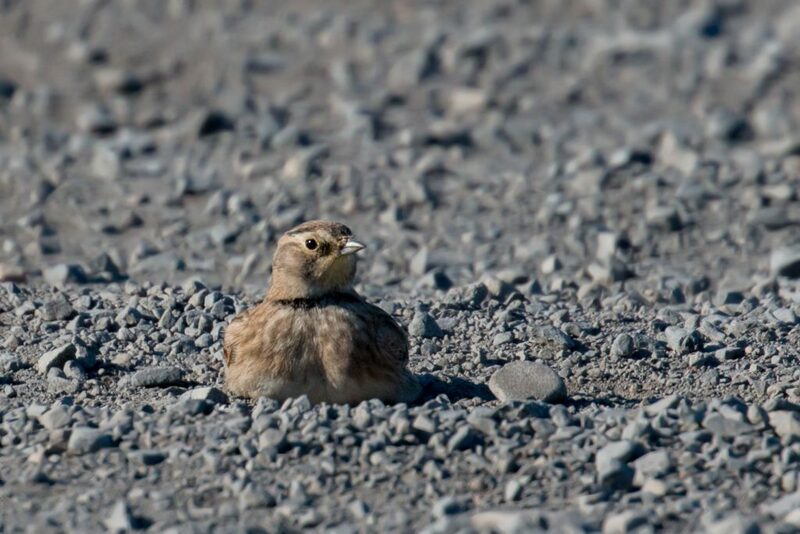 And, I got really lucky, finding a relatively large flock of Horned Larks (about 200 birds) right away. In the flock I could see several Snow Buntings while they were in flight. I had a single American Pipit on the road when several birds landed in front of my car. 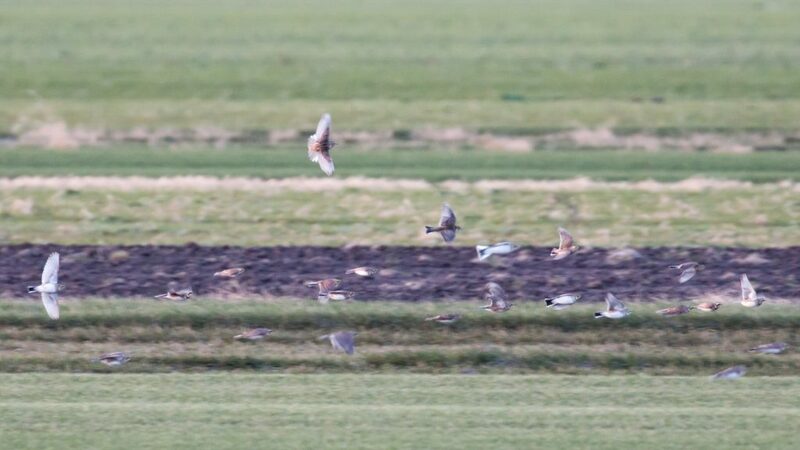 And, most excitingly, I had a single LAPLAND LONGSPUR that I located as I scanned through the flock with my scope. So, my last day counting up at Mt. Peter Hawkwatch was a pretty good one. 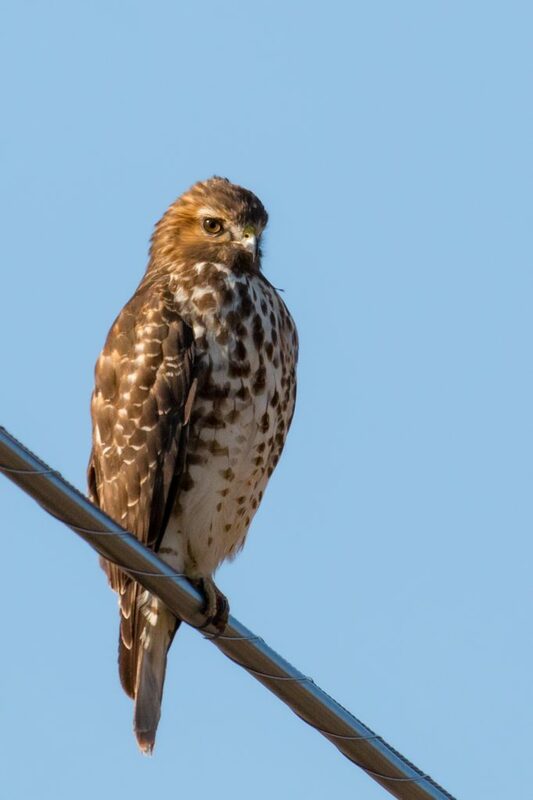 And, to my mind, it was exactly how hawkwatch in early November should be: Very cold, crisp, and sunny with a steady northwest wind blowing and a good flight of Red-tailed Hawks (20) and Red-shouldered Hawks (15). The only missing ingredients were the Golden Eagle or Northern Goshawk that I was hoping very much for, but unfortunately both species were a no-show. I had a lot of good help and company while I was there: fellow Mt. Pete counters Tom Millard and Denise Ferrel spent several hours each helping, and Bruce Christensen, Jose Garcia, Rob Stone, Karen Heifetz, Nancy Sierra and Joe Baldacci all visited and provided plenty of help and good company too. 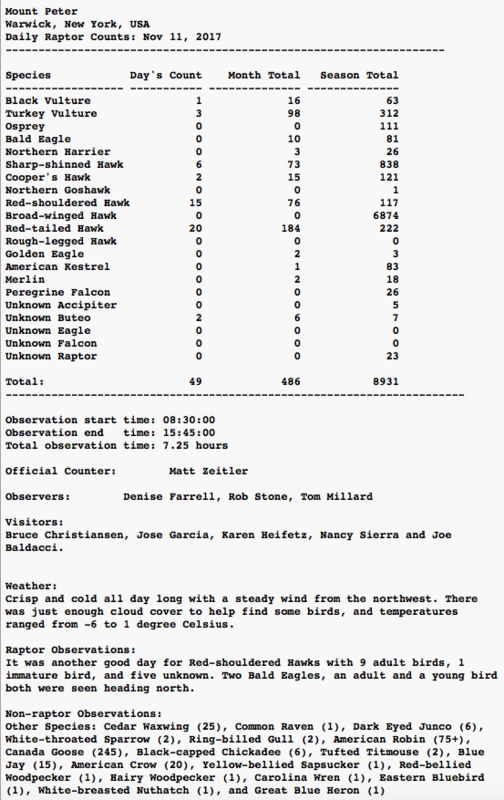 I totaled 49 migrating raptors, which is enough to stay busy for most of the day. Unfortunately, nearly every bird was super high so photo ops were very few; I actually never even got my weekly Turkey Vulture shot. My final bird of the season, which passed over right at the end of the day, was a sky-high Great Blue Heron that was so high that I needed the scope to get a good ID on the bird. I thought that was a pretty cool way to end the season.